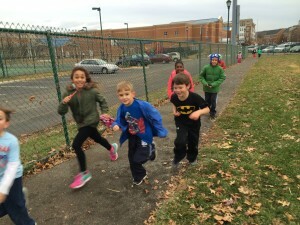 Sports Mix includes Run Club, Flag Football, Basketball and Soccer for K-3 students. Or we can offer K-6 and participants will be split up into 2 separate groups based on age/grade. During basketball, flag football, and soccer, athletes start with warm ups, move on to master the basics of dribbling, shooting, passing, and catching, before being able to scrimmage. Coaches engage the kids in super fun running warm ups, such as sharks and minnows, tag games, and team racing competitions at the start of class. During Run Club, students run for fun and practice the fundamentals of walking, power walking, jogging, running and sprinting so they can learn to pace themselves and run further each class. Sports Mix is all about fun fitness and learning new skills. It’s a great way to be active and constructive after the school day!